Mix together yogurt, cumin, cayenne and garlic. 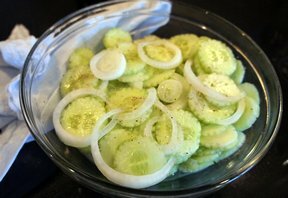 Peel cucumbers and Cut into quarters, lengthwise. Cut seeds out and discard. 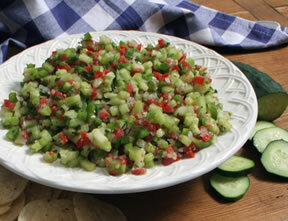 Chop cucumbers into small chunks. 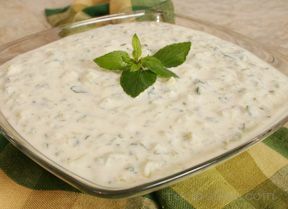 Mix cucumbers into yogurt mixture.